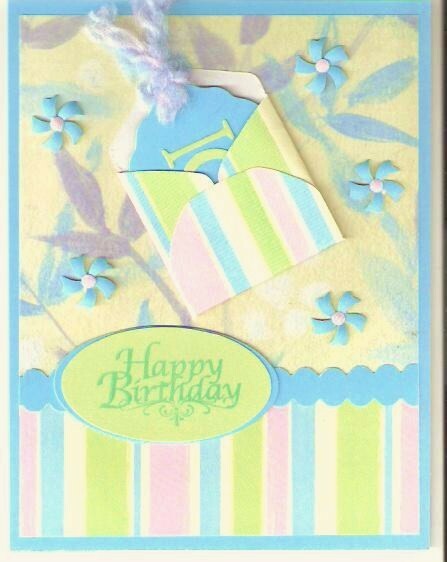 I made the mini-envelope and tag on this card using Coluzzle templates, but you could also use the Paper Wishes mini envelope and tag templates. The flowers were made with Marvy's pinwheel punch. I used an embossing tool to add dimension to the flowers.